Blood banks have to test thousands of samples every month. This consists of routine testing such as ABO/Rh typing and antibody screening as well as some different ones such as prenatal and pre-surgery tests for patients. Automation can help standardize test techniques along with result interpretation. This can enhance patient safety as it reduces human error. Sahara India Medical Inst. Ltd. in Lucknow is doing just that. With the help of automated mechanisms, systems are enabled to generate clinical meaningful results with a disease focus. The data can be accessed anywhere and anytime. What is an automated blood bank? An automated blood bank substitutes labor-intensive screening tests that are carried out on blood products. It can be used by blood donation centers as well as blood transfusion sites. A blood bank automation system can carry out tests for HIV, hepatitis B and C, syphilis, and human T cell lymphotropic virus. The automation can also be used to determine blood type and cross-match donor units for patients who need specific type blood. Automated blood bank systems can perform types of tests, number of tests per hour, sampling, etc. Sahara India Medical Institute’s innovation is helping process all the blood bank services in a proper manner and this has led to substantial increase in business as well as the accuracy for the organization. The premier medical institute was faced with several challenges in its quest for automation, which included monitoring performance, ensuring proper regulation and compliance, keeping track of the exploding data and implementing the technology to embrace change. The automation has also led to early detection and diagnosis along with the maximization of resources, even while keeping the costs under control. “This automation has been quite helpful to us. 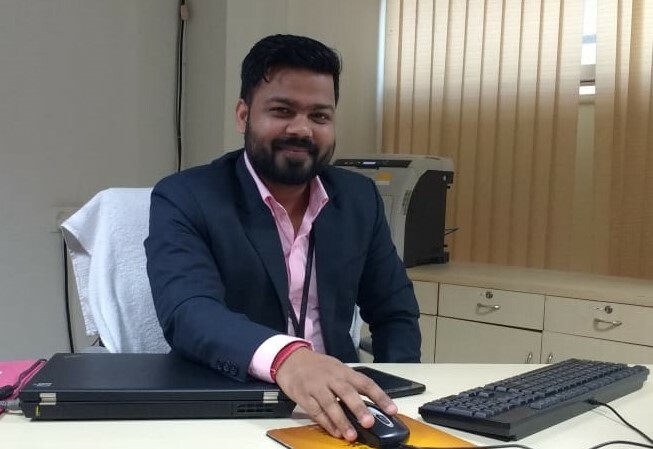 It has enabled us to perform the systemic processes with more accuracy and efficiency and has led to increase in the performance of the hospital” says Manish Kumar Pathak, Head IT & Automation, Sahara India Medical Institute Ltd. In line with the times, the hospital is also carrying out automation of the Electronic Medical Record (EMR) System as well. An EMR primarily contains the medical and treatment history of patients at one place. This essentially comprises digitalization of the paper charts that are found in a clinician’s room. For this, they have used the centralized Big Data EMR Management System which can convert unstructured data sets to structured data sets through the application. Both medical history templates and case studies are present. Patient Smart Contact ensures accuracy and efficiency. The integration of the equipment has led to increase in business for the hospital. This has also led to early detection and diagnosis.